Harry Christophers leading the Handel and Haydn Society. 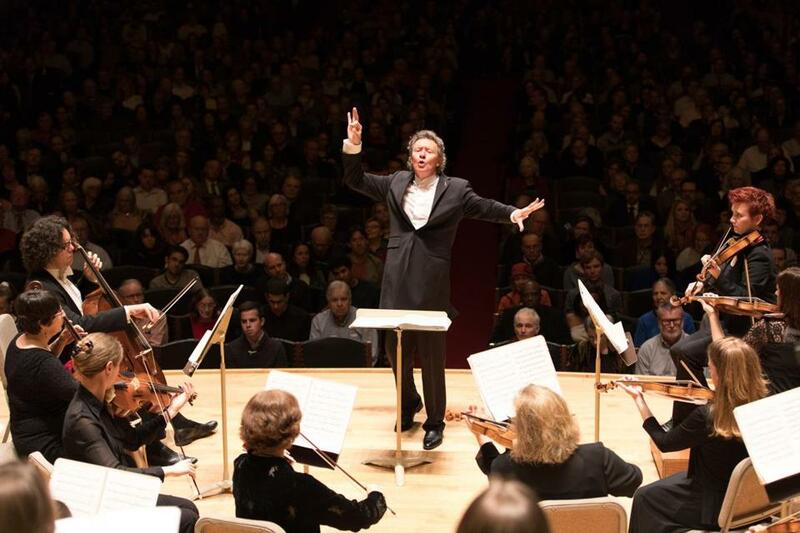 Harry Christophers, artistic director of the Handel and Haydn Society, plans to step down at the end of the 2020-21 season. The British conductor is in his 10th season at the helm, a remarkable tenure during which the company more than tripled its endowment, subscriptions increased by 70 percent, 12 commercial recordings were led by him (a 13th is being recorded this weekend), and a majority of the present roster of musicians was hired by him, including charismatic concertmaster Aisslinn Nosky. It is essential that artistic organizations reinvent themselves every so often, says Christophers, who also founded The Sixteen, an acclaimed choir and period-instrument ensemble based in the United Kingdom. “I’ve been here 10 years. It’s time for the repertoire to be revitalized by someone with another penchant,” he says. When he took the job, he explains, he decided to focus special attention on the work of the ensemble’s two namesake composers, and he calls the music of Haydn “the biggest single revelation . . . and excitement” that he’s experienced through working with the ensemble. Christophers hopes that his successor will further the cooperative spirit he sees as vital. “I think the nature of the music that we play is such that it has to be collaborative. In order to bring the best out of the players and the singers, we need to inject them with an energy,” he says. In the meantime, more than two full years remain before Christophers departs. His plans for the coming 2019-20 season include a Mozart celebration to kick things off, a Mozart and Haydn concert in January, a performance of Vivaldi’s “The Four Seasons,” and Bach’s St. Matthew Passion. When he steps down from this position, Christophers will give up his only steady stateside gig. Back in the United Kingdom, he’s looking to focus more on his work with The Sixteen. “I’m 65 now. I’m not saying I’m not going to travel, but I don’t want to be living out of a suitcase,” he says, noting his desire to spend more time with his family and catch a few more Arsenal Football Club matches. Nonetheless, he hopes to be invited back for an occasional guest slot after he leaves, he says.